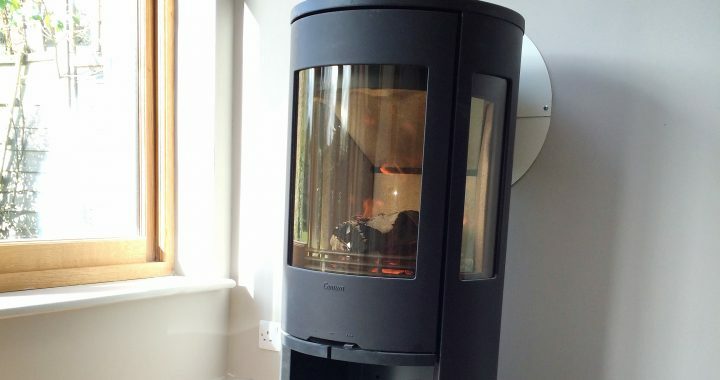 This stove is installed with a rear exiting flue to give a nice clean look in this newly built extension. 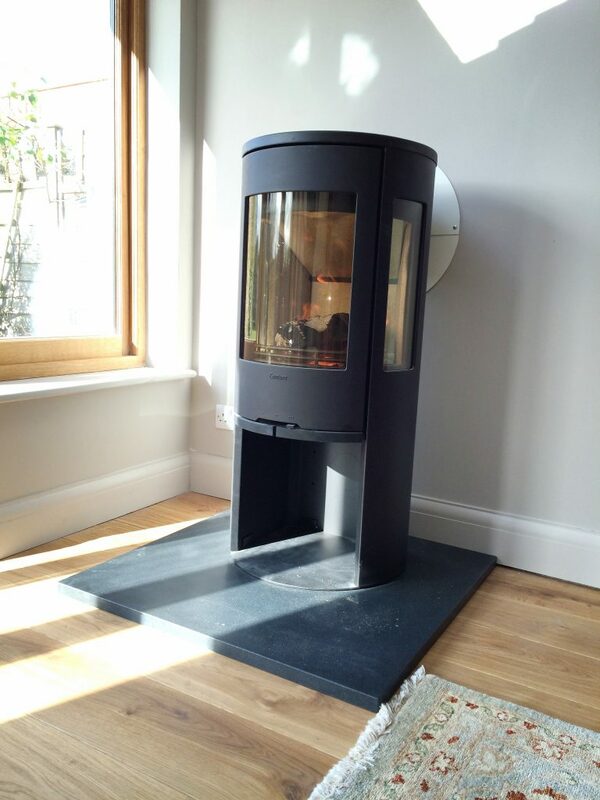 If your planning on building an extension and fitting a stove please get in touch before work starts. We are always happy to look at plans & guide you on your options. It is often easier to make allowance for the flue when building say the roof structure than to retro fit the flue through a freshly plastered ceiling. We are very flexible in our approach and happy to work with your builders and around your schedule to make the project run smoothly. Please get in touch to discuss your installation requirements. 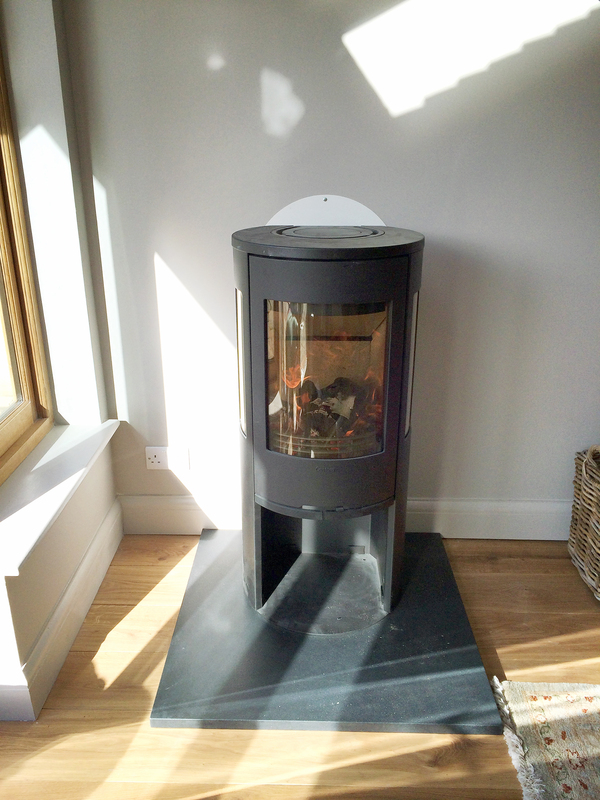 Posted in free standing wood burner, Modern Stove, Twin Wall Chimney, wood burning stove.